Update: Only two days left! 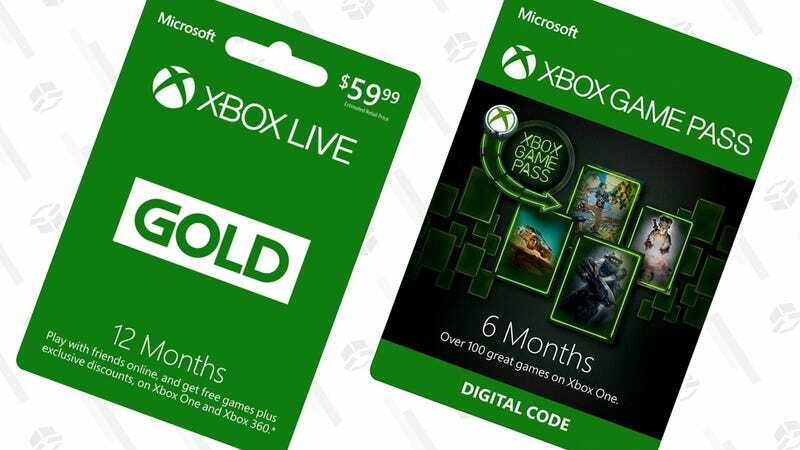 In case you missed it, Microsoft is running some of the best deals ever on Xbox Live Gold and Xbox Game Pass, its increasingly excellent Netflix for video games. Both deals expire at the end of the month. The former is $20 off, down to $40, which is about as cheap as it ever gets. The latter is just $10 for a three month subscription, which is what you’d normally pay for a single month. Both subscriptions will auto-renew at the regular prices though, so don’t forget to cancel if you don’t wish to continue using them.